Rosie Johnson Mangum, 72, of Burlington, passed away on Thursday, February 7, 2019 at the Hospice Home of Burlington. A native of Alamance County she was the daughter of Alonzie Johnson and Nora Frances Hinshaw Johnson, both deceased. She was a retired caregiver and provided private homecare for many years. 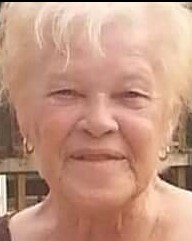 Survivors include her three children, Tammy Overman and husband Bo of Burlington, Wendy Chandler of Burlington, and Michael S. Majors of Burlington; six grandsons; three great granddaughters; one great grandson; sister, Doris Elliot and husband James of Archdale; and her brother, Henry Johnson of Liberty. In addition to her parents, she was preceded in death by her sister, Mae Frances Faircloth. A funeral service will be held at 2:00 PM on Sunday, February 10, 2019 at the Rich and Thompson Chapel in Graham with Rev. Rick Eller officiating. Burial will follow at Vickers Memorial Baptist Church Cemetery. The family will receive friends on Sunday from 12:45 – 1:45 PM prior to the service and at other times will be at the residence of Tammy and Bo Overman.